Want to know how your local players are doing at the 2016 United Healthcare US Open as the event proceeds? The new R2 Sports App will take you closer than ever to all the action at the 2016 United Health Care US Open Racquetball Championships. Live US Open event information brought to you in real time. Get notified when your favorite players are playing their matches, receive scores from your favorite division. Like, comment and post pictures on matches and players profiles. Download the free R2 Sports App now from the Apple or Google store. Follow the sport of Racquetball, and search for US Open in the search event section. After selecting the US Open tournament, search for your favorite player by selecting on the “PLAYERS” button. You can follow your favorite players by selecting the heart by their name. You can also select and follow any division by selecting the “DIVISIONS” button and select the heart by the division name. Do not miss out on any of the US Open action. 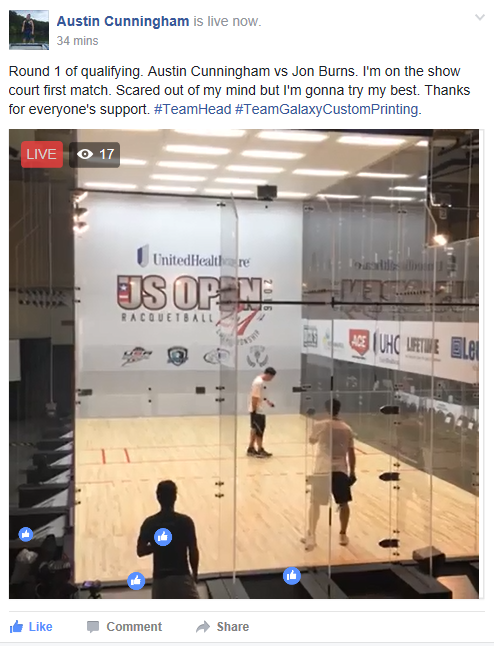 Looking for a more visual experience of the 2016 UnitedHealthcare US OPEN Racquetball Championships matches? Join the Live Streaming of Racquet Sports Facebook group! Share your broadcasts there as well! Want to watch the professional matches that start on Wednesday night at 7 CST? 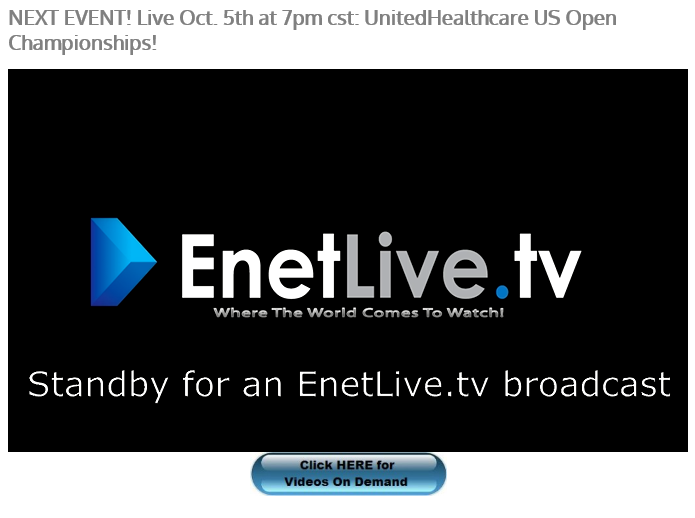 Join Enetlive to watch those matches with commentators. Professional Doubles Begin at 4:00 P.M.